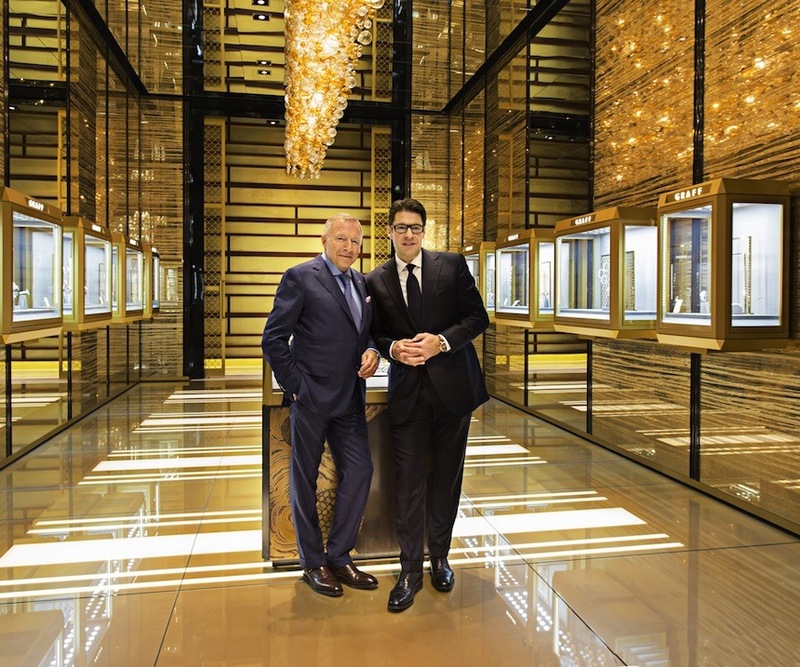 At first glance, one could hardly spot anything really tentative about Graff Diamonds’ first appearance at Baselworld earlier this year. The booth, 503 square meters upon a single elevated space, was designed by Graff’s Monaco-based interior design team in the likeness of a Graff Boutique. The booth was quite charming indeed, with walnut wall paneling and bronze feature showcases; however, it was the treasure within that triggered an almost dreamlike state. The sense of unreality was probably the result of one really expensive quartz watch – the Graff Diamonds Hallucination, priced at fifty-five million dollars ($55 million), undoubtedly, the most valuable watch ever created. The incredible worth stems from 110 carats of really rare and really big colored diamonds set into a bracelet of platinum. Some of the rare diamond colors are Fancy Vivid Yellow, Fancy Intense Pink, Fancy Intense Blue, Fancy Light Pink, Fancy Light Grey Blue, Fancy Intense Blue, Fancy Green and Fancy Orange. In addition, many different cuts are used, such as heart shape, pear shape, marquise, emerald, radiant, and round. 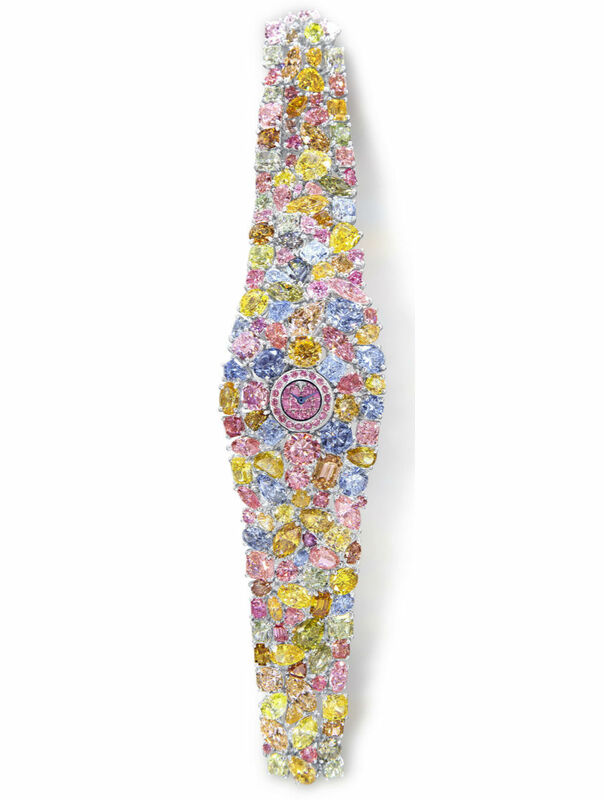 I have detailed the colors and cuts to indicate the vast array of rare diamonds included in the Graff Diamonds Hallucination watch. Where does the timepiece aspect come into all of this? Well, if you look really closely, you can make out the tiny quartz dial, framed by pink diamonds, delicately displaying uber-accurate time. No need for a power reserve or automatic winding, this baby keeps on ticking for months on end. 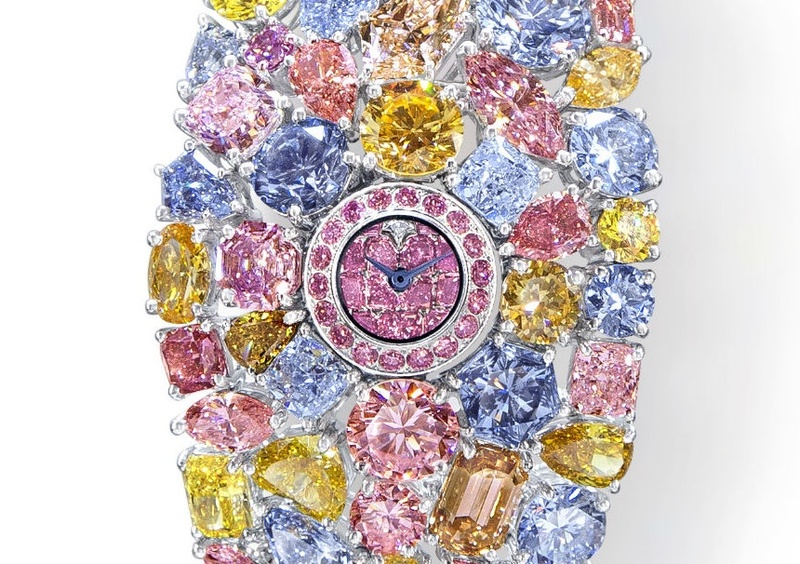 The Graff Diamonds Hallucination is perfect for the ladies… or one very lucky lady, whose net worth will suddenly escalate in leaps and bounds. The idea of making this pricey piece of haute horology came from Laurence Graff, the Chairman of Graff Diamonds. After all, no one else on the lower rungs of the company ladder could even conceive of a fifty-five million dollar timepiece without a raised eyebrow or two. Mr. Graff was born and bred in London. He started out as an apprentice to a jeweler in the Hatton Garden District. Being a mere apprentice did not last long, very soon he was creating his own jewelry pieces. By the time he was 24, he had already opened two of his own jewelry stores in London. As he traveled the globe, his clientele grew, and so did the demand for more important jewelry pieces. Astoundingly, by the age of 30, he had set up one of the biggest jewelry manufacturing business in Britain. In 1973, he became the first jeweler to receive the Queens Award to Industry and Export. He opened up his flagship store on Bond Street. Today, the company has 45 stores around the globe with corporate offices in London, New York, Geneva, Hong Kong, and Tokyo. I must say, at first glance, I was quite amazed and horrified that a single timepiece could cost so much, but after delving into the process by which a single rare colored diamond is sourced from a rough stone; cut to perfection, polished, and finally set into the piece of jewelry or timepiece, I realized each and every diamond is a story unto itself. A simple tongue clasp secures the Graff Diamonds Hallucination around the wrist. The clasp is hidden once the bracelet is closed and can only be unfastened by placing pressure on a single diamond. Why would Graff make such a grand piece? Graff unveiled the Hallucination to showcase the company’s authority, skill, innovation, and excellence in the diamond industry, from manufacturing to retail. After all, Laurence Graff is the controlling shareholder in the South African Diamond Corporation (SAFDICO). SAFDICO is one of the main diamond producers in South Africa, sporting the largest polishing and cutting factories based out of Johannesburg. Tens of thousands of Graff diamonds are cut and polished each year and the best of the best are used to create Graff jewelry. Among the thousands of diamonds, Mr. Graff is always looking for the rarest diamond, either in the raw or cut and polished. In his quest for the ultimate diamond, some of the most treasured gemstones have passed through his fingers. The latest of which is the famous 550 ct Letseng Star which was found, as with many other rare Graff diamonds, in the Letseng Mine in Lesotho. “The hunt for diamonds goes on. We search on a daily basis for stones in the rough or polished. The best stones are rarer than anyone could ever imagine,” Laurence Graff said. 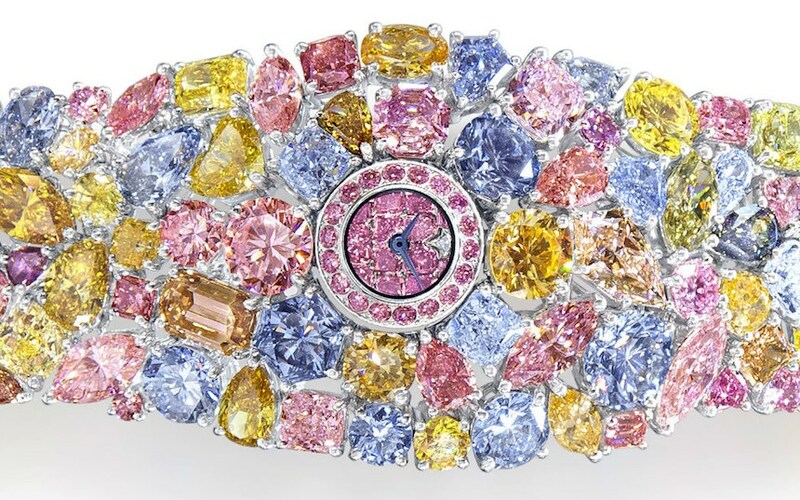 The Graff Diamonds Hallucination watch holds many of these rare finds in a single timepiece. Top notch designers, gemologists, and Master Craftsman spent literally thousands of hours creating this piece of horological jewelry. The diamonds are cleverly hand fitted into the invisible platinum setting to create a multicolored bracelet heaving under the weight of its valuable load. Graff unveiled its line of luxury timepieces in 2009, and now boasts 50 models in 5 collections: Technical, Sport, Evening, Jeweled, and Bespoke. Graff is the creator of the intriguing MasterGraff Grand Date Dual Time Tourbillon which incorporates three different complications into a single timepiece: The flying tourbillon, dual time function, and grand date. Why have I mentioned this triple complication timepiece by Graff? Because I cannot fathom why Graff created a fifty-five million dollar timepiece with a quartz movement. I must admit the quartz movement seemed almost like an afterthought, whereby an exceedingly expensive bracelet quite suddenly became a watch. Perhaps Laurence Graff wanted a diminutive dial so as not to detract from the rarity of the gemstones. Perhaps certain ladies of great worth do not care for mechanical mastery, but rather the glitter of diamonds. After all, did Marilyn Monroe not say, “Diamonds are a girls best friend?” Or perhaps only a quartz movement could fit into the structure of the bracelet without unduly distressing the careful placement of 110 ct of rare colored diamonds. Amazingly ugly. This is aesthetics? Can I get the battery changed at Herbie’s Discount Watch Batteries ‘r Us? Or do I have to jet to London? If it’s the latter, fergetaboutit. Have you seen the price for a decent cup of coffee in that town? It looks like the scrumpled remains of a box of Quality Street chocolates. With the random assortment of colours, it’s much less than the sum of its parts. I’m sending it back for a refund as it’s not even symmetrical around the watch face. My missus was well disappointed by that blunder. Producing this piece just because they can is sheer arrogance. Purchasing & wearing it to snub everyone is depraved indifference. I can create the same color effect with a box of Fruit Loops cereal, aluminum foil and some SuperGlue. And then you could munch on the band if your private jet crash landed on a desert island. Confetti for the inspiration? For 55 million I would want some design, some style, not something that looks like the result of projectile vomit after ingesting colored diamonds. 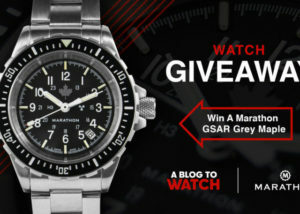 And for the true watch collector – there is no mention of whose fine quartz movement is used. Usually for odd watch, even if I don’t like them, I like that they exist. Not in this case. What a waste of stones (to say nothing of the poor, humble quartz movement that gave its life for this monstrosity). They pricing was outrageous – starting at around US$6,000 and going up to, the highest I was aware of, around US$ 18,000. Keep in mind this was the mid 1970s. He sold everyone he could make. A lot of his customers were Japanese and Koreans. But also a regular clientele of Europeans would do the polar route into Fairbanks airport for his watches. Just goes to show…again…money does not buy taste….but it does buy gold and jewels. AndrewJohnson3 When my wife rejected it I simply re-gifted it to a mistress. She was most appreciative. It’s not about the watch, it’s about the diamond mine on your wrist. Borys Bozzor Pawliw How like them. I get that the coloured diamonds are quite rare, and of good quality to boot, but they look like they were set by a 5 year old. I feel like I can replicate the watch really accurately with a hot glue gun and a bag of bedazzles from a hobby store. I could even plop in a real quartz watch movement to complete the homage. $55 million is hilarious. That number is just so ridiculous, I wish they had just said it was worth a Jillion dollars. My mistress already has two. Just in case she gets sick of one. I’m slightly offended by the term “haute horology” in this context. Where’s the horology? All I see is a dollar store quartz movement. Why not set the gems in a way which makes a gradient of colour? And maybe make them not entirely random cuts? Graff just showed the world that you’d be an idiot not to spend your fortune on Cartier jewelry and watches. star42 I thought he was made of only chocolate diamonds. It’s a terrible, terrible thing. You’d have to have some kind of deep-rooted psychological issues to want, or wear, this watch. The “watch” part of this thing is all but absent. The rest is just an extremely expensive assembly of diamonds that would, in the hands of a true craftsman, become something amazing, but in this case are a hideous LSD-trip of random colours. At least it’s aptly named. I want to make an offensive and really smart comment about this….BUT, I’ve been stuck staring at all the wild colors for 30 minutes now and my mind has been wiped clean!!! Panagiotis Ulysses31 Love the Futurama references – thanks guys. I would be interested to know the difference between the price of the watch and the value of the materials used in it. I.e., does it even pretend to be something other than just a pile of diamonds? Borys Bozzor Pawliw ZL It’s a pile of diamonds. It will be funny when someone has to change the battery in it. Is this what happens when pearls – or diamonds – are cast before swine? Borys Bozzor Pawliw Or a rapper. This monstrosity makes the Billionaire watch look almost acceptable………..ALMOST. Sebhelyesfarku Borys Bozzor Pawliw No rapper could afford this, let alone wear it. That is one of the most hideous things I’ve ever seen. But I’m sure it’s sparkly. This is the ugliest object I have ever seen. 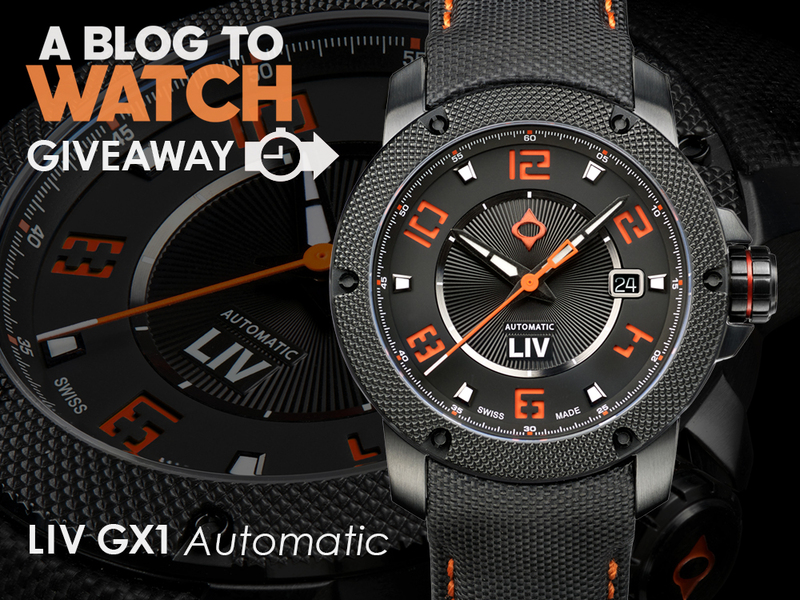 Established in 2007, aBlogtoWatch.com publishes watch buying guides, timepiece reviews and horological articles viewed by over one-million people worldwide each month. ABTW strives to provide enthusiasts, consumers and watch collectors with the highest calibre of watch related information. We work for our audience and our coverage is as honest as it is passionate. Look sharp and live smart with our daily email.